Scott Cooper served in Afghanistan and Iraq as a U.S. Marine aviator. Now out of uniform, he's on a new mission: advocating for refugees on Capitol Hill. 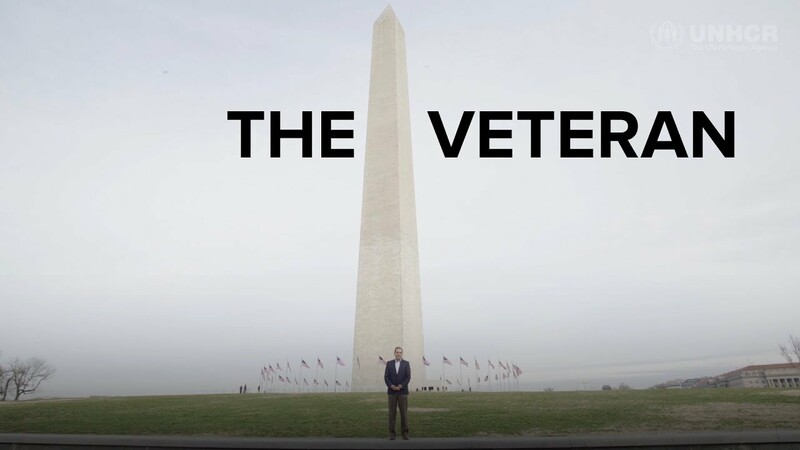 U.S. veteran and refugee advocate Scott Cooper in front of the Washington Monument in Washington, DC. Scott Cooper can often be found in the corridors of the U.S. Capitol, speaking with lawmakers and aides and anyone else willing to listen. His mission: making sure refugees remain welcome in the United States of America. Cooper, 46, is accustomed to fighting for his beliefs. He spent two decades as an aviator with the U.S. Marine Corps, completing five tours of duty in Iraq and two in Afghanistan before retiring as a lieutenant-colonel. Now a civilian again, he continues to defend his country and the humane ideals upon which it was built. “When you get out of the military you think, ‘What’s the next mission?’ Seeing those affected by war, protecting human rights and national security led me to start Veterans for American Ideals last year to advocate for military interpreters and Syrian refugees." This nonpartisan group of former servicemen and women share the belief that America is strongest when its policies and actions match its principles. Its latest campaigns focus on protecting refugees, countering Islamophobia and saving the Special Immigrant Visa program for interpreters and translators who supported the U.S. military. In response to plans to bar refugees from seven war-torn countries from entering the United States, Cooper earlier this year led a delegation of refugees from six of the seven countries affected to Capitol Hill. Joined by a former officer of the U.S. Army's elite Green Berets, they met with staff in the offices of senators Ed Markey, Joe Manchin, John McCain and Marco Rubio, among others – to attest to the rigor of the U.S. refugee vetting process. Only a tiny fraction – less than one percent, only the most vulnerable – of refugees are ever resettled to a third country and they do not choose which. In the case of the United States, they are admitted only after exhaustive security checks that can take years and that are conducted by the U.S. government overseas before any refugee ever travels to the United States to begin a new life. Cooper says he strives to live his beliefs every day. He has helped more than a dozen people, refugees as well as Iraqis and Afghans with special immigrant visas, resettle in the United States only after they have completed the rigorous U.S. government vetting process. Cooper is the father of two daughters, both now in their 20s. Their safety and security, he says, is his paramount concern.